A bit surprising how many of these I have done but have been an obsessed family historian for 25 years now. Visited all your great-grandparents’ grave sites. Had to visit England for this. Visited all your great-great-grandparents’ grave sites. Had to visit England and does it count that I was at the edge of the graveyard where they were buried but it is now privately owned where the graveyard has been allowed to go back to a nature reserve and you cannot enter? Read all/part of a local history for your ancestor’s place of residence. Local history is a much under-utilized resource for family historians. Researched the school history for your grandparents. My Grandmother won an essay prize. Read about an ancestor’s divorce case in the archives. Does brother to ancestor count? Have an ancestor’s military record (not a digitised copy eg WWII). My father’s, grandfather’s and great-grandfather’s. Seen an ancestor’s/relative’s war grave. My Grandfather died in WW2. He is the only one of my direct line to have died in service. Found other land documents for your ancestor (home/abroad) I have the vellum property deeds. Used contemporaneous gazetteers or directories to learn about your ancestors’ places. I love maps!!!! Used local government sewerage maps (yes, seriously!) for an ancestor’s street. Not yet but plan on doing this. Read an inquest report for an ancestor/relative (online/archives). I have a few of these including a murder/suicide. Researched a company file if your family owned a business. Most of my lot weren’t in business. Researched an ancestor’s adoption. To the best of my knowledge non of mine were adopted. If they were it is prior to legal adoptions. Researched an ancestor’s insolvency. Yep have a few of these! Found a convict ancestor’s passport or certificate of freedom. I wish!!! but I don’t have any convicts in Australia however I do have some ancestors in England who served time for larceny and I have looked at those records. Found a convict ancestor’s shipping record. as above. Found a licencing record for an ancestor (brands, publican, etc). This is interesting as people don’t think of city people having brands but remember many people had horses and also cows. Found an ancestor’s name on a petition to government. And in a Government Inquiry into the Printing Works! Read your ancestor’s citizenship document. My Mother’s UK citizenship document! Read about your ancestor in an undigitised regional newspaper. One of mine died in a country area and was about to be buried when his family in Brisbane demanded he be buried in Brisbane. Looked up your ancestor’s name in the Old Age Pension records. Michael Courtenay was rejected as not being old enough. Researched your ancestor or relative in Benevolent Asylum/Workhouse records. James Rollason was admitted to Dunwich (1897). My George Howard Busby was admitted to Eventide in 1942 and was then released then readmitted to Eventide in 1956 and died a few weeks later. Researched an ancestor’s/relative’s mental health records. I don’t currently know of any ancestors who were admitted for mental health conditions. Contributed family information to a genealogical publication. I strongly recommend doing this as the rewards are great. You clarify what you do and don’t know by writing it out, the editor of the Journal thinks kindly of you and you can get responses from new family years after the publication as many journals stay in FHS libraries. I have a confession. I was a nerd and loved school and each subject. For me the worst subject due to the stress it caused had to be doing Maths 1 and Maths 2 (the advanced Maths subjects) by correspondence! I did from year 9 to year 12 by correspondence back in the day when it meant actually putting pen to paper. I had a dream of becoming a public health pathologist which meant studying the straight science stream: maths 1 and 2, Physics, Chemistry, Biology, English and History for fun. My school was 850 miles (1370 kilometres) from where I was living. I received my lecture materials and assignments by mail and I had my textbook for supplementary learning. Each week I would work on a chapter, do the assignment and then post it to the school. In those days (and maybe even today?) the joke was if you wanted to lose a body send it Australia Post. This meant that from the time I posted the assignment to when I received the corrected assignment back was a minimum of three weeks. The teachers at the Distance Education School were great but Maths is one of those subjects where having someone present to go through the workings makes all the difference. Waiting three weeks for an explanation on what I was doing wrong meant I ended up so lost that it became non-recoverable and I failed those exams. English and History was a breeze and interestingly doing Physics and Chemistry wasn’t so bad by correspondence. Biology was fun although my Mother hasn’t really forgiven me for the video of the frog dissection or for dissecting an ox heart on the kitchen bench. The advent of the Internet has made correspondence courses so much better. You still need the discipline to study at regular intervals but the access to teachers and resources is wonderful. I recently did an online course with an English university where I could see and hear the lecturer explaining the process and giving us direct feedback on our work. We had people from fifteen countries doing the course. Back to High School and I ended up repeating Maths 1 and Maths 2 at night school. I did well enough to get me into a Medical Laboratory Scientist course at University. While I didn’t become a Public Health pathologist I did become a Public Health Microbiologist and this has been my career for 25 years. Genealogy has been my obsession since 1986 which is also now 25 years! While I do not subscribe to the supermarkets’ belief that Christmas decorations and items should be available from September (or their insane idea of Easter eggs and hot cross buns from the first week in January!) there are only 69 days, 12 hours and 45 minutes until Christmas Day. And counting! See Christmas clock for a neat Christmas countdown. I am not trying to stress anyone but now is the time to start thinking if you are planning any Genealogy Guerrilla Action this year. Christmas and family gatherings are an ideal time for Genealogy Guerrilla Action, where you can sneak family history into the activity without being obvious and having their eyes glaze over. The Christmas tree ornament of the ancestor is an ideal one. Kimberley Powell gives detailed instructions on making this ornament. Family recipe books are always useful as you can have a few pages of family information and photos for each recipe. If you don’t have too many special family recipes, how about putting in photos of festive occasions and some memories of the food eaten so you have recipes that were used on special family occasions. The family history book all written up is a dream for many, perhaps for the most getting it done is the impossible dream. However remember the book is made up of people and their stories. 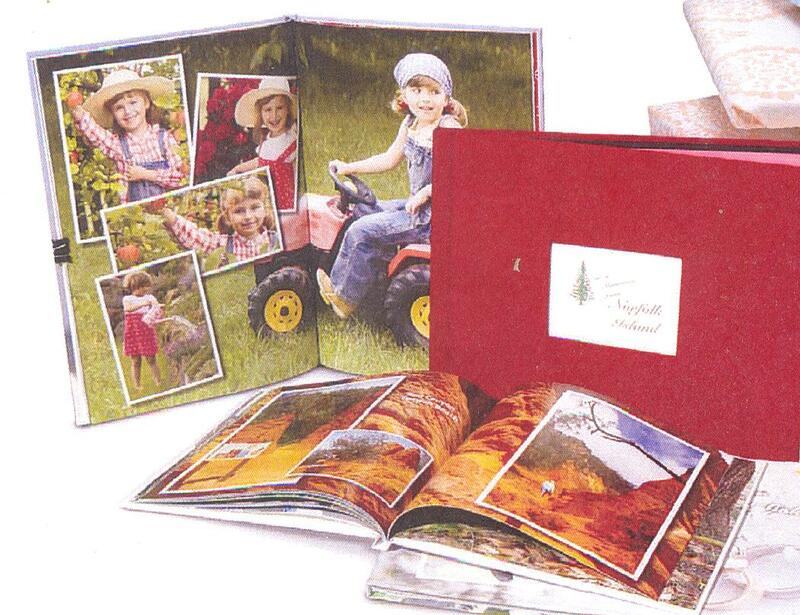 Start small with a family calender with a family photo and short write-up on that photo for each month. In the date portion include some historical family events, date of immigration, wedding, birth, etc. You could theme the calender eg April for a Gallipoli veteran, November for a World War 1 photo, the appropriate month for the wedding or birth. perhaps the month when you moved into a family home? You are limited only by your imagination. Many family history programs have a “On this Day” feature. and of course you win extra points if your relatives ask YOU questions about their family history! You can also use this to document your holiday or the first year of school. They are more likely to be seen than the photos sitting in an envelope. Having a display of historical family photos on the wall or TV stand may also get people asking questions. Of course you could always make a slide-show of old photos and places people lived that is showing on the TV itself. It is not just photos, it could also be family memorabilia Great-Granddad’s medals, some old 78 records, a sampler, some carpentry tools, a book that Gladys won for perfect School attendance. Family history information on Christmas cards could also be done as could a bookmark for each family member. A friend a few years ago, had the gift cards and wrapping paper printed with historic photos. The Christmas newsletter seems to have fallen out of favour a bit, with the advent of social media but you could always sneak in some family information there. Of course there is always the option of a Family History advent countdown on Facebook or on your blog with a picture and a quick write-up of that picture. Remember you can have many blog posts in draft while you are getting ready for the Christmas Advent countdown to start. So what Genealogy Guerrilla Actions are you planning to make family history part of the Christmas celebrations this year? I’d be delighted to hear your ideas. This is my contribution to the Blog Action Day 2011 where the topic this year is Food. Food is such an important part of all our lives. In Australia we are lucky enough to view food as something enjoyable, and in many ways taken for granted. It is not the desperate necessity for life that is is in so many places, such as in Africa, where millions are in very dire straits. Unfortunately, due to this abundance, The Australia Institute research shows that Australians waste more than $5 billion of food each year. There is a major cost to the environment when the endpoint of production is wasted as well as the cost to the individual families. There is also the ‘waste’ that occurs because we decide we have to use what we have and overeat. Both of these topics are well covered throughout the media so I am going to diverge to another aspect of food which is of concern to me. This is of diversity of food, particularly food plants. When I was a child (many moons ago) most people I knew had a vegetable garden. This was used for the family and extras were swapped around the neighbourhood. There were many hours spent in the garden with my Grandmother setting out new lettuce plants each week so we had a constant supply and also in the kitchen where we bottled fruit and put up vegetables so we would have a supply all year around. my Grandmother was from England and had lived through WW2. Living in Brisbane we didn’t really ever have the winters she had seen in England or even the ones in Goulburn New South Wales which is where she and my Father lived from 1949 after emigrating. As the vegetables and fruit were grown in close proximity to where they were being used, there was no problem with transport or with the vegetables having softer skins.There also used to be variety in the vegetables with many different types of beans, tomatoes, strawberries etc. 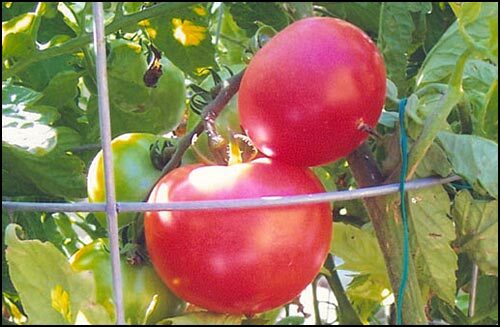 Since the disappearance of the home vegetable gardener the diversity of tomatoes particularly has decreased with the commercially produced fruit having thicker skins. This mean they survive the distances travelled between farm to market to table but are nothing like the soft skinned tomatoes i remember from my childhood. They also have decreased flavour. There are a number of problems with decreasing the variety of plants. Firstly there is the risk of disease and having the majority of one type of plant being decimated, issues such as the potato famine in Ireland come to mind. 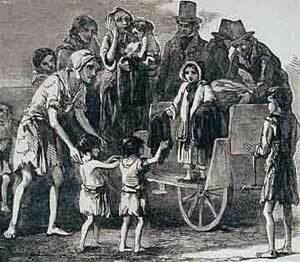 The Irish used potatoes as the staple to feed the growing population. Specifically, they planted the “lumper” potato variety. As potatoes don’t grow from seed but from eyes off a potato all the potatoes were genetically identical to one another. As there was no genetic variation they were less able to adapt to changing environmental conditions and were particularly susceptible to the Potato Blight. Back to our tomatoes, there are places such as Eden Seeds where you can buy different varieties for your garden. They seed bank and collect heritage seeds. They have 168 varieties of tomato seeds from around the world. Types such as the Eva Purple Ball. The description from their website is ” heirloom of the Black Forest region of Germany. Fine texture, does well in hot humid areas, resistance to diseases, from late 1800’s” At A$3.20 for 40 seeds the best money you will spend for flavour. Or there is the Green Zebra, Earl of Edgecombe and Purple Calabash varieties to name just a few for you to try. Seed banking for future diversity is important on a global scale and while there is some progress in this field, it may be too little too late. Projects such as the Millennium Seed Bank Project Millennium Seed Bank Project. This United Kingdom initiative aims to collect the seeds of 10 per cent of the world’s flora (24,000 species) by 2010, and 25 per cent by 2020. This aim is to try and save 25% of plants endangered with extinction by 2020. How many plants have already been lost? In these troubled economic times it makes sense to go back even if just in a small way to the vegetable gardens we knew as as children. There are numerous advantages which include teaching the children of today how food is grown (it also has a side benefit in that the children are more likely to eat something they have grown themselves! ), it decreases waste, it decreases the carbon footprint because you are not transporting the vegetables long distance. It also can increase community spirit. this has been particularly true in England where there has been a resurgence in Alotment gardens . 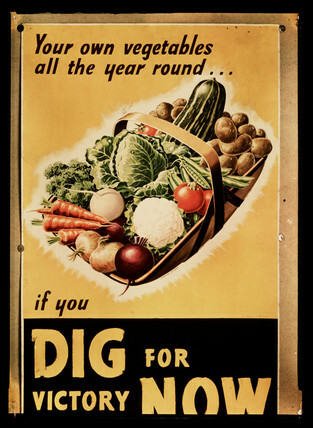 Or at the very least you can share your excess vegetables amongst your neighbours. It is perhaps time to bring back the slogan that was seen in World War 2. It is as true today as it was then. Have an ancestor who was an agricultural labourer. I have a lot of ag labs!